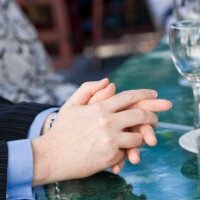 Deals on Facebook or StartupBuys.com? Try Them Both. Still, this is in a limited roll out. That means your small business can’t get involved just yet. But you can get involved in another new Groupon-like venture that’s launching in all 50 states. The site is called StartupBuys.com and it aims straight at the heart of the small business owner that’s trying to find new customers. "Most other group coupon sites usually take anywhere from 50 percent to 90 percent of each coupon sale. We realize that it's hard enough for a new, small business to succeed. That's why we don't take any portion of the proceeds from any coupon offerings by our members," says Kerry Blackman, founder of StartupBuys.com. "Unlike other group coupon sites, we charge only a small, monthly membership fee—and the first six months are free to try out. We don't even ask for a credit card to sign up." Sounds promising, doesn’t it? Here’s how it works: The business has to be less than four years old. If that’s you, you can sell coupons from the site. The revenues go to your PayPal accounts immediately. You can track the views and sales of your coupons, and even see contact information of the buyers. On the flip side, the site offers vendors and suppliers with small business-oriented goods and services. On top of all this, there is a social networking component to the site. You can post your business sourcing needs and offerings, use a forum to connect, network, form groups, participate in Q&A and otherwise communicate with each other and suppliers to them, for advice, sharing of know-how, experiences and information, post relevant business events to promote their businesses, and even post jobs. What do you think? Worth trying? Or are you going to stick with Groupon?